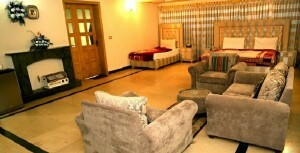 Serena Shigar Fort official website. Built in the 17th century, Shigar Fort in Baltistan is a perfectly restored of traditional Asian fortress-palace.It takes about 2 hours to drive from Skardu to Shigar. 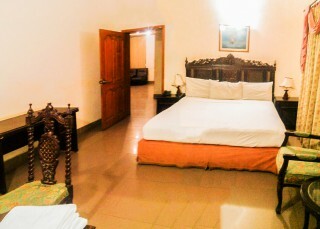 Located on the legendry route to the world’s second highest mountain K-2, and known as Fong-Khar, which in the local language means the “Palace on the Rock”, Serena Shigar Fort is a unique heritage guesthouse hotel in Baltistan, Pakistan. Serena Shigar Fort offers guests the opportunity to experience the restored original architecture of the 17th Century Raja Fort Palace, while enjoying the modern amenities and services of a luxury guest house. 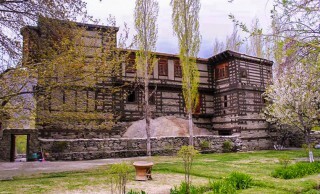 The complex at Shigar comprises of the 400-year-old Fort / Palace and two more recent buildings, the "Old House" and the "Garden House". 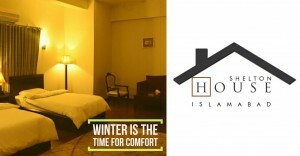 The former Palace of the Raja of Shigar has been transformed into a 20 room heritage guesthouse hotel, with the grand audience hall serving as a museum of Balti culture and featuring select examples of fine wood-carvings, as well as other heritage objects. Historical Vine Garden offers BBQ (June to September).